If you find yourself forgetting things (and taking more time to remember them than you want), read Dr. Bill Thomas’ post, Tip of the Tongue, over at his Changing Aging blog. 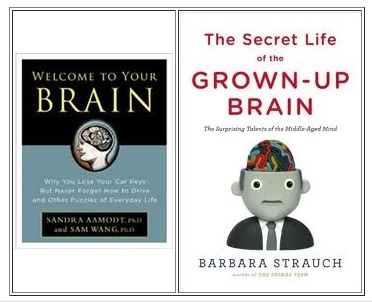 He writes about the brain and presents a broad range of research findings that address memory, forgetting, remembering, age, and ageism. As we grow older and despite forgetting, Dr. Bill emphasizes, most of the information is still in our brain as we move toward elderhood, though we are a bit less efficient at retrieving it quickly. It turns out that younger brains are good at quickly recalling bits of information (like a name or where you put your car keys) because they have a relatively straightforward filing system. Older people, by dint of long experience, “store” memories within a more diffuse network of brain systems. At least once a day I have a tip-of-the-tongue experience, and almost always, the thought that I was trying so hard to remember pops into my head sometime later in the day. My parents, age 89 and 85, have the same experience. I do not worry about it, and I encourage them not to worry too much about it, because we almost always remember the information in a relatively short time (or we know where to go to find it). I stopped worrying about forgetting after I attended a parents’ weekend lecture some years ago at Brown University — in a large lecture hall, standing room only. The lecturer, a professor and brain researcher whose class my daughter was taking (and whose name I cannot remember just now), shared some interesting and reassuring facts using a metaphor of old-fashioned library card catalog. 1. As we get older, we continue to file information in our brains, but perhaps less efficiently, and we may not be as effective at cross-referencing the data into the various card catalog drawers in our brains. BLOGGER’S NOTE: I know that I am not as good as I used to be at cross referencing experiences in these metaphorical drawers. I continue to cross reference, but I do not think I make as many cross references as I used to when my brain files a fact. 2. With fewer cross references it can be harder to locate a forgotten or misplaced fact, especially if we haven’t thought about it for a while. 3. When we search for a bit of information the brain goes out looking for it, and it’s persistent. BLOGGER’S NOTE: Extending the professor’s metaphor, I picture this process rather like a warp-speed reference librarian searching through the first drawer but then continuing through others. Remember how impressive this was back in school (in the old days) when a librarian could expertly speed through multiple drawers with hundreds of those cards, and somehow keep all those cross references in mind when we moved to another drawer? And remember how the librarians in our past never quit, even when they did not discover something right away? This is my mental picture of the brain hunting for information. 4. The professor pointed out that a healthy brain knows that the information is somewhere, keeps searching, and does not settle for unrelated results. 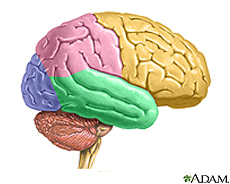 BLOGGER’S NOTE TO MY STUDENTS: for the time being the brain still does relevance sorting better than Google.) It keeps looking for the correct information even when a person “forgets about remembering” and goes off to do something else. Mostly we are not aware the search continues. 6. When the brain finally locates the information, it lets a person know — sending an “I found it” message — and that’s why we sometimes remember the missing fact, or name, or where we put something at the funniest on unexpected times (when we are exercising or sleeping or cooking or having an entirely different conversation). 7. The professor got a standing ovation from the hundreds of parents in the room — all of whom worried about forgetting. For lots more on specific brain research, check out Tip of the Tongue, over at the Changing Aging blog. Thank you! Forwarded this to my 70 year old husband who does worry about forgetting often. « Phone Scam About Personal Safety Devices?